National Parks, National Wildlife Refuges, National Forests: FREE Today! Today, in honor of Martin Luther King, Jr. Day, the National Park Service is offering FREE entrance into any national park… So walk, meander, run, bike, or trail-ride your way to your nearest one! Love your national parks, national wildlife refuges, and national forests — numbering more than 2,000 — and continue to support them by your mere presence. And above all else, bask in the beauty of these wondrous spaces! That would be oodles of fun! Unfortunately, a good portion of the world still has to work today, including me. Otherwise, I’d be gone in a minute! Good of you to put the notice up for the lucky ones, though! Me too! Sob Sob!! Stuck in my cubicle!! Even though its a nice quiet day in here today. 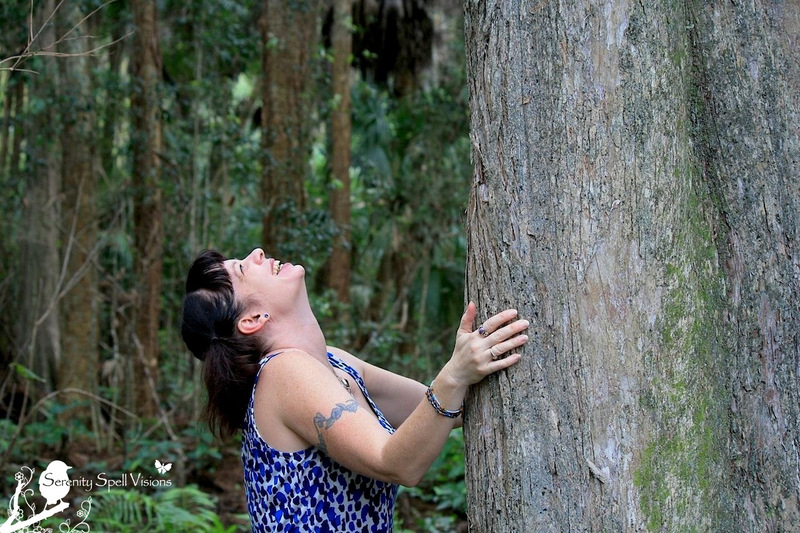 Can you believe I have still not visited Loxahatchee yet??!! That must be rectified!! I can’t believe you haven’t been there! It’s wonderful. Next time you go to Wako/Green Cay, visit! We can meet there, there are several different parts to see…. Thank you! I was about to load my gear and head to the Rookery Trail (before they close at the end of the month until September). Change of plans – I’m gonna go to Lox (NWR) and visit my favorite Snail Kite. I’m so glad you mentioned that closing date for the Rookery Trail — THANK you! I need to visit it SOON! Anyway, I’m off to the Lox. I’ll probably be gone before you get there, alas — but we DO need to hook up on a hike soon. I’m working on a project that may interest you. I saw his nest was deep in the GWP, but I always hope to spy him. Ah well… No go! Hee…. Shooting an ibis and an eagle buzzes you. CLASSIC! I hope you enjoyed LOX! I can’t wait to make it out there… And I can’t wait to hear about your project!! Exciting, we most DEFINITELY have to arrange a hike soon! Your choice! I spent all day at Lox, leaving at about 3:30. Only had about a minute of light drizzle – I was lucky to get out of Dodge before the downpours showed up. It was pretty slow, bird-wise. No Great BHs, no Kestrels, and the Owls at the guard shack stayed in the nest. (For those that go, the nest is near the second power pole west of the guard shack, about 30 feet deep in the woods on the left). The only Snail Kite I saw was across the canal. But good golly, the gators were out in force! One big boy was napping right on the trail. He wasn’t interested in moving; and I wasn’t interested in leaving this mortal sod quite so soon. Gator – 1, jimbey – 0. The next three hikes I have on the schedule are: 1) The Rookery; 2) Apoxee arm of the Owahee, NE side; 3) North border of Pond Cypress, then South on Owahee between Pond Cypress and the GWP. The weekend is coming – what’s your pleasure? Sigh… I never made it to Lox, and that was my goal. By the time I could have gone, it was pouring. At least you missed the worst of it! Thanks for the info on the owls. I used to watch them in the pines on the Marsh Trail (past the turnoff), and sometimes on the boardwalk, but I never knew where their nest was! I’ve snapped some of the biggest gators I’ve ever seen at Lox… They’re obviously QUITE happy there! Heh. I love how they sometimes take up the entire path (that’s happened more than once to me — re-route!). Ergh, they all sound like great hikes!!! There’s a slim chance I’ll be traveling north (for hiking, of course) this weekend though. If that falls through, I vote for #1 or 3, since I just did the NE section! But I have to hit the Rookery next week, if I am away…. Ergh. With a day’s worth of warning, I’m generally available. If not this weekend, then any other one. I particularly want to teach you that the Malachite Trail (SWA) is nowhere near the NE Apoxee arm of the Owahee. The Owahee there circles a large, undisturbed wetland that lays south of the M-canal, between the main leg of the Owahee and the Turnpike. Ergh. See why I’m investigating the hiking GPSs??? Will do. Things are usually last-minute with me, so I’m glad you’re the flexible-type!! I’m already obsessing about missing the Rookery, though…. I wanna get the keys to one of those rookery monitoring towers! With a nod towards the Cuyahoga Valley Natl. Park (my late brother’s favorite stomping grounds) and its unique “mixed use” model, I very much appreciate the job the SWA has done here. True, landfills are evil, etc. ; but they have turned the buffer lands into a remarkable and vibrant wildlife preserve. I believe all new landfills nationwide should be required to include a substantial buffer zone restored to its original (pre-civilzation) eco-system. For that matter, new developments and strip malls should include similar offsets. You wanna develop 500 acres? Fine – but you must find and purchase an equal (or greater) amount of private land, and restore it to original condition. EXACTLY. 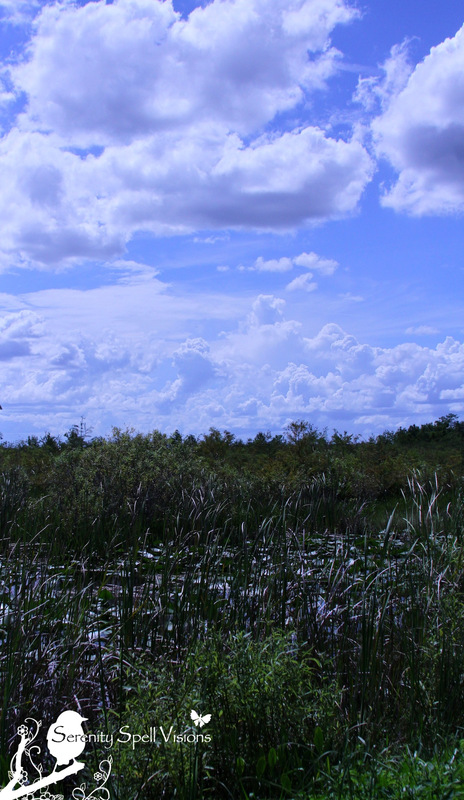 SWA has done an excellent job of restoring and preserving this area — an area that was a vital part of the Everglades watershed. You can see it in the amount of wildlife that flocks to the region. If developers were forced to do this, we’d be in a much more harmonious position with nature. And — we wouldn’t have foreclosed, unnecessary strip malls littering our landscape. Our country needs to get a handle on developers, enforce them…period. This is a wonderful start. If there were actually regulations in place, so much unneeded development would be curbed. And honestly… Why can’t we get the keys to those towers?!? On the other, other hand, I’ve seen more wood storks recently than ever before. I know… It’s terribly sad. I’ve been reading about their continued threats across the state. And about their continued habitat loss — they NEED the wetlands. I’m not sure if I saw this piece, so thanks for the link! Corkscrew (another place I’ve yet to visit, more north) highlighted them recently, too. But you’re right — I’ve been seeing more of them this year! I hope it’s an upward trend in their fight for survival. To think of how many are out there (there are more state parks in my immediate vicinity, but the national parks aren’t too far)… And their diversity, like you say? It’s AWEsome. Ditto!! Both (well, all) of these areas are amazing… But Big Cypress and the areas a bit north off the Florida Trail (that’s where we found the untouched Cypress Swamp, so very old, with very old cypress) — those have amazing SWAMP! Happy day everyone! While you’re all out there enjoying the Florida sun and cypresses, think of us here in cold and gray Washington State! My favorite forest is knee-deep in mud right now, but somehow, it is still as magical as ever. Sadly, I didn’t make it out today…. After work, I tried to sneak out — but we’ve been having a bit of rain in our dry season! Lots of it! I’m not complaining — it’s always a welcoming sight, during these times. At least I made it out yesterday in the drizzle. NOTHING like your area now, heh….! I love the first landscape. Such surreal colours and dreamy atmosphere. Thanks for the info. Absolutely! Can you believe, those colors came right out of the camera… No altering. Sometimes the skies right before dusk are just brilliant over the Everglades, as I’m sure you know! A great public service announcement! 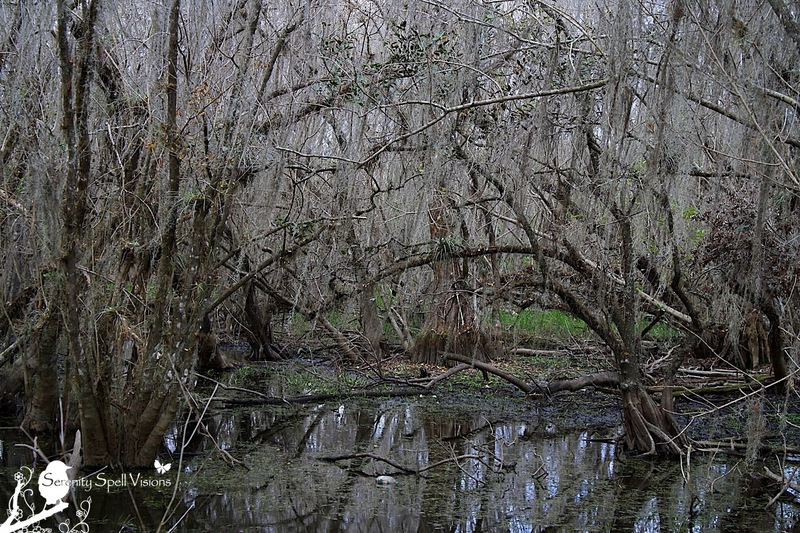 Wonderful swamp photographs, thank you for sharing them! Ah, thanks so very much! Glad to be the happy messenger. 🙂 Nothing like the swamps of Big Cypress — and of course the secret swamps one accidentally discovers. In Ohio admittance to the national park (Cuyahoga Valley), national Forrest (Wayne), and national historic park (Hopewell Culture) is always free. I have no idea why we are special, but it’s nice. Really?? Some of ours are based on an honor system… But they’re not FREE! Wow. That’s really nice. We’re NOT special!!! Hah! I’m still puzzling this one over. Cuyahoga Valley National Park is kind of odd in that the park was created after the region had become populated. There was still some forests and swamps in the area, but there were also rural homes and farms. When I first visited it a few years ago, I was stunned that people are still living in the park. I asked a park ranger about this. He said the federal government bought their property, but they granted the current residents permission to live in their old homes (which they no longer owned) for the rest of their lives. I don’t know this for sure, but I suspect they plan on demolishing the homes once they become vacant. In the meantime it would be odd to charge someone admittance because they wanted to visit their friend or relative in the park, or if a serviceman had been called to fix the plumbing or what-have-you. However that doesn’t really explain why the national forest or historic park is free. And Bob tells me that he has just recently discovered that there are three national wildlife areas up around Lake Erie that we didn’t know about. You know, I was somewhere… On a hiking vacation…and we ran into a similar situation, of people being homesteaded into the park, in a similar manner! I wish I could remember where it was. I wonder if that’s the reasoning for the free entrance — it would certainly make sense! Ooooooh! New wildlife areas! I always get *so excited* to discover and explore new areas — LUCKY YOU!!! THANK YOU – VERY BEAUTIFUL PICTURES!!! I went to Jewel Cave National Monument for the free day. Jewel Cave doesn’t charge an entrance fee, but they do normally charge for their cave tours. They were under no obligation to go fee-free for MLK Day, but I’m glad they did! It had been all too long since I’d been underground. Ahhhh!! SO fun! I can’t wait to see pictures (if you have them?). There are caves in northern FLA, but just getting there for me is like driving three states away…. 🙂 But I REALLY want to visit, one day. I’m planning to do a blog post about it in the next few days, so stay tuned! Peggy and I once took a year off to visit America’s National Parks from Alaska to Florida. Their diversity and beauty is beyond imagination. We are ever so lucky in this nation to have people with the vision and commitment to protect these areas for us and for future generations. Thank you for your ongoing efforts, as always. You’re exactly right… This commitment and *continued* dedication to protect these areas is crucial for not just the land and its inhabitants, but for us lowly humans. 🙂 How WONDERFUL that you were able to travel the entire States, visiting America’s park system… That’s just amazing. What an experience. National Parks, National Wildlife Refuges, National Forests: FREE Today! | Serenity Spell « Sound Body Solutions, Inc.